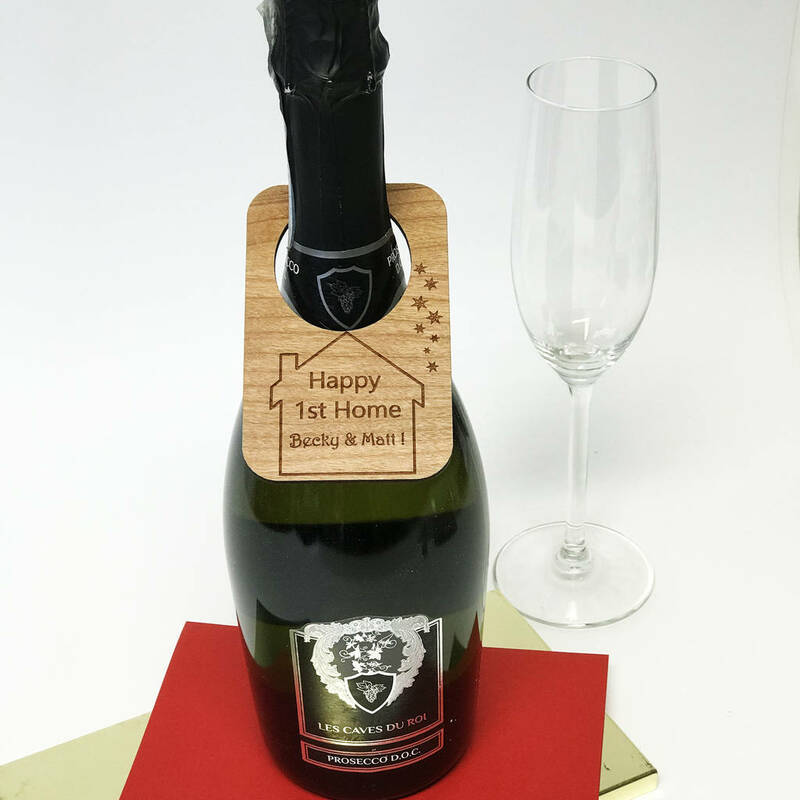 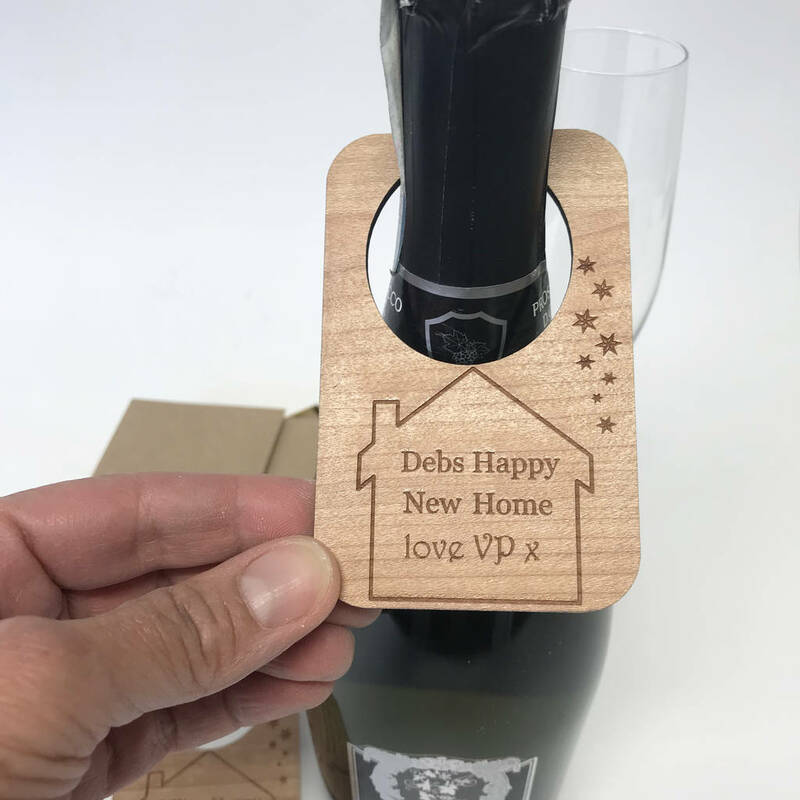 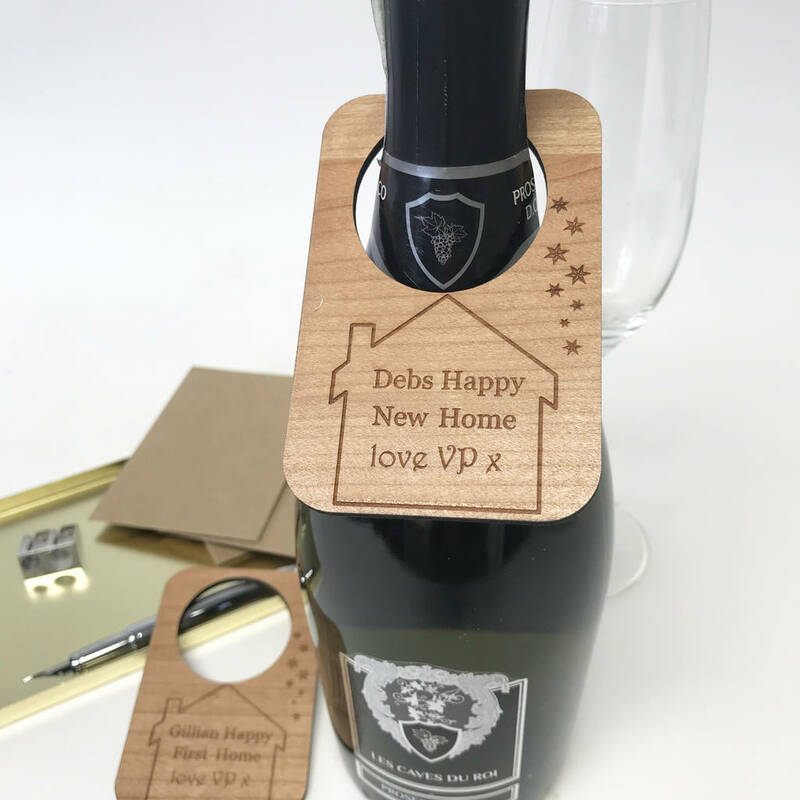 A lasting and unusual gift our Personalised New Home Wine Bottle Labels make a charming memento to treasure after the celebrations of moving to your first home. 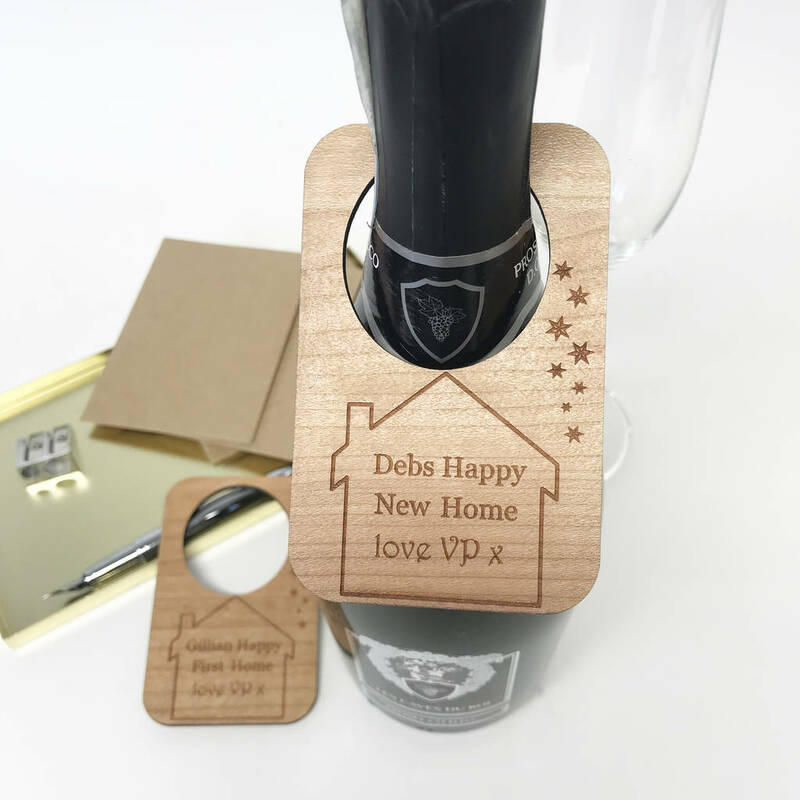 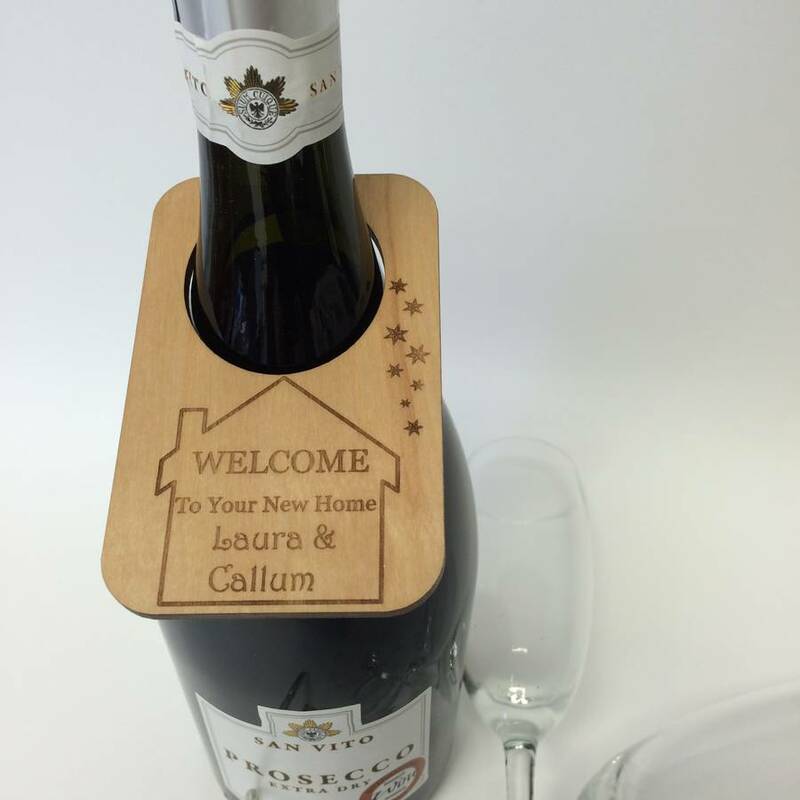 A lovely card alternative, a lasting and unusual gift for you to dress your bottles in style with, our personalised wine bottle labels, is the ideal housewarming gift, made from beautiful cherry wood, simply chose their favourite beverage to display your personalised New Home gift. 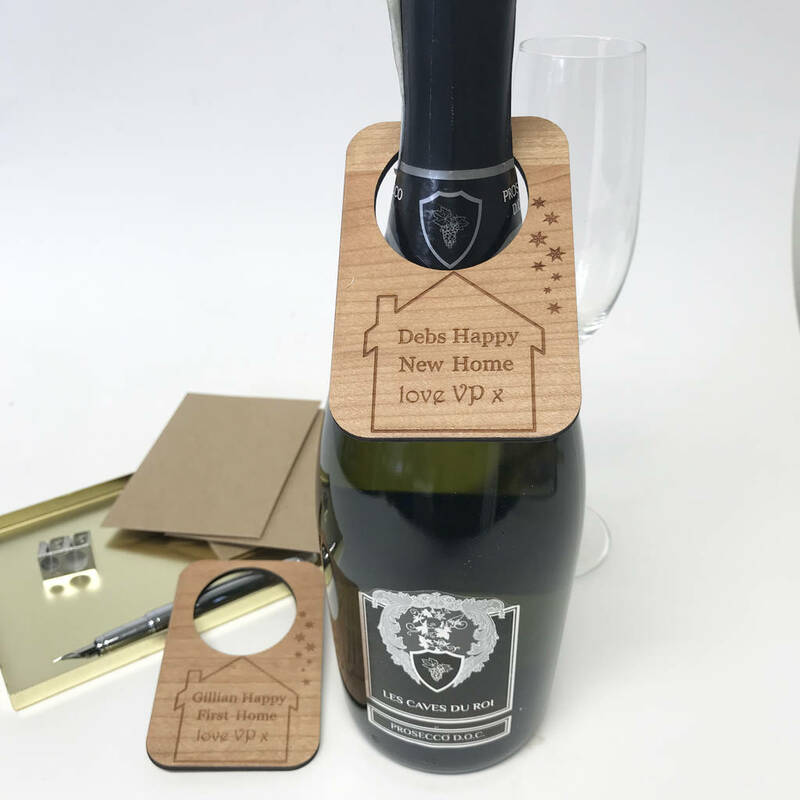 Personalised bottle labels add a little extra special thought to any occasion. 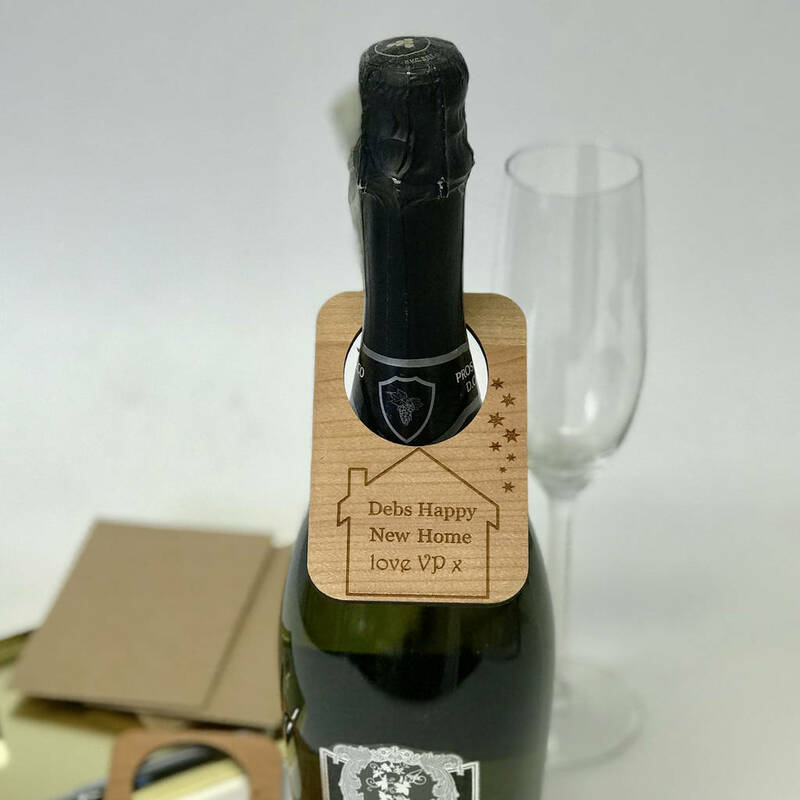 Our personalised bottle labels add the finishing touch to any wine lovers gift, we have a wide selection of personalised bottle labels for many celebrations, if you would like to order several labels or have a bespoke label made please do get in touch.